Here’s everything you need to know about the 4th ODI between Windies and England at the National Cricket Stadium, St George's, Grenada. 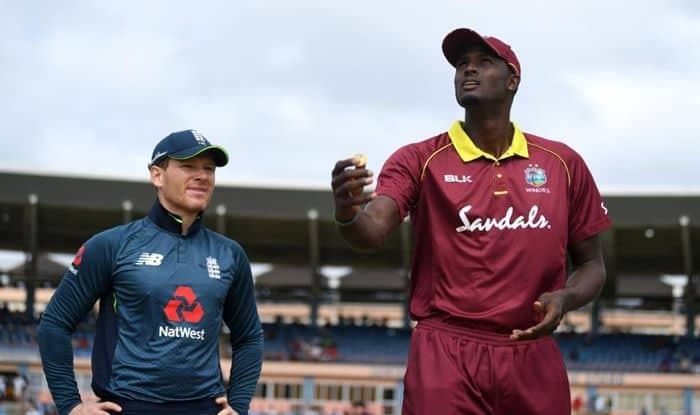 West Indies vs England 4th ODI Live Cricket Streaming: The rain gods played spoilsport in the last match which made sure the scoreline remains at 1-1 in the five-match series between world’s number one ranked side – England and number 9 ranked team – Windies. England placed No.1 on the ICC Team Rankings, came into the one-day international series against Windies as favorites, but after two completed games (the third match was washed out), there’s been little to pick between the sides. Windies lost the first ODI despite posting a total of 360/8 but bounced back to successfully defend 289/6 in the second game. The No.9 ranked side are showing steady signs of improvement in the lead up to ICC Cricket World Cup 2019, which starts on 30 May in England. When will the 4th ODI between Windies and England be played? The 4th ODI between Windies and England will be played on February 22. What time will 4th ODI between Windies and England start? The 4th ODI between Windies and England will start at 7.00 PM IST, the toss will take place at 6.30 PM IST. Where will the 4th ODI between Windies and England be played? The 4th ODI between Windies and England will be played at the National Cricket Stadium, St George’s, Grenada. Which TV channel will live broadcast the 4th ODI between Windies and England in India? Sony Ten Sports network will live broadcast the 4th ODI between Windies and England in India. Where can I watch the free online live streaming of 4th ODI between Windies and England? The free online live streaming of 4th ODI between Windies and England will be available for on Sony LIV and Airtel TV. What are the probable playing XIs of 4th ODI between Windies and England?